When you have only a dozen followers on Twitter, and you’re related to half of those, making a misstep or faux pas in social media is no big deal. But when you have hundreds of thousands of followers, or are being paid to promote something, a poorly thought-out tweet, inappropriate photo in Facebook, or ranting blog post can spell disaster for you. And once it’s on the Internet, it’s forever. So before you hit submit, it pays to make sure you triple check your post. Not everyone thinks this through though, so here are some great object lessons for you, that should also bring a smile to your face! 1. 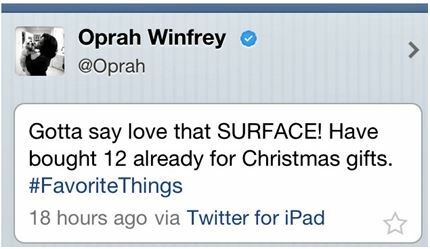 Back in November 2012, Oprah tweeted about the Surface, from her iPad. She may love it, but she was obviously cheating on it with a device from Apple! 2. Oprah pulled another oops moment, trying to game the Nielsen’s by encouraging her followers to tune in to her network. Apparently, that’s kind of against the rules. 3. Celebboutique.com probably wasn’t following the news when the mass shootings in Aurora Colorado were happening. They probably only had a search term, saw #aurora trending, and didn’t check to see that it was NOT about their product of the same name. 4. Denise Richards accidentally tweeted her telephone number out, thinking she was only direct messaging a friend. Not since Jenny’s number was made popular by Tommy Tutone has the phone company actually experienced a meltdown. 5. 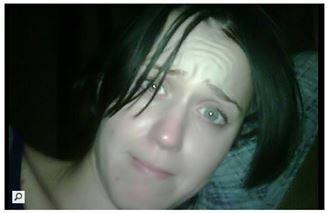 Russell Brand tweeted a candid of new wife Katy Perry. Apparently she wasn’t thrilled that he caught her without make-up, and we all know how this Hollywood marriage worked out. 6. Congressman Anthony Weiner shared just a little too much of himself on Twitpic, which was probably the first nail in the coffin of his political career. We’re pretty sure this photo was taken right after his campaign manager told him what he’d done. 7. I’m thinking this next tweet was a combination of a late night, no coffee and autocorrect hammering down. 8. Bob Parsons, the CEO of Internet registrar and hosting company GoDaddy, posted a video of himself killing an elephant in Africa. Whether or not the elephant was rogue and posed a danger to humans in the area, the backlash was significant, costing GoDaddy customers and greatly damaging their goodwill. 9. And, still on GoDaddy, there’s the time when it came out in favor of the highly controversial SOPA law. Reports have them losing accounts by the thousands before releasing a public statement reversing their stance. 10. Alec Baldwin launched a Twitter tirade against America Airlines after an incident where he refused to power down for departure. While he may have gotten some sympathy from all the road warriors who hate stowing electronics for takeoff and landing, all he really wound up doing was looking the fool. 11. Chrysler blamed a compromised account for a tweet offending all the drivers of Detroit, the location of their corporate headquarters. 12. McDonalds saw a social media campaign go horribly wrong when they tried to get customers to tweet their experiences with the hashtag #mcdstories. They got plenty of responses, most of them bad. 13. Applebee’s fired an employee over posting a receipt with a snarky remark from a customer. The entire incident has been used as an example of how businesses should not handle social media. 14. Celebrity death hoaxes count too, as the list of famous people allegedly meeting their tragic and untimely demise continues to grow. Every couple of months a new rumor crops up, including celebrities like Morgan Freeman, Rowan Atkinson, Jackie Chan, Adam Sandler, Bill Nye, Vanilla Ice, and more. 15. Designer Kenneth Cole tried to make light of the phrase “boots on the ground” and instead felt the backlash of offended followers and customers. 16. And while he probably doesn’t feel the slightest shame or embarrassment at all, Mark Zuckerberg should at least want to change the subject when someone mentions him buying the four houses surrounding his property because he wants more privacy. MORE. PRIVACY. 17. But the biggest mistake of all was first made in the traditional media… it just got amplified by social media 100-fold. BP CEO Tony Hayward stated in an interview following the BP Deepwater Horizons oil spill in the Gulf of Mexico: “We’re sorry for the massive disruption it’s caused to their lives. There’s no one who wants this thing over more than I do, I’d like my life back.” What little goodwill BP had built up in their initial response was crushed overnight. 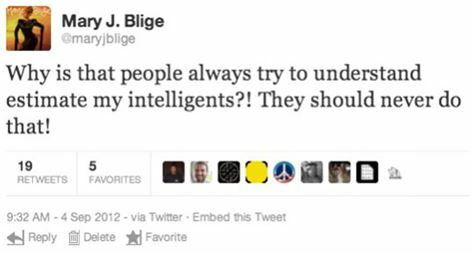 Some of the best parody accounts on Twitter were based on BP. If you’re going to make a name for yourself in social media that isn’t going to be considered notorious or embarrassing, think before you tweet. 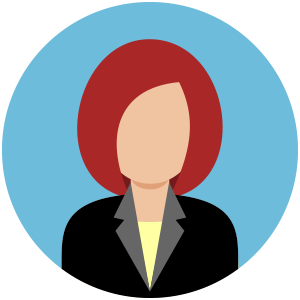 The reputation you save may be your own, but could just as easily be your employer’s.